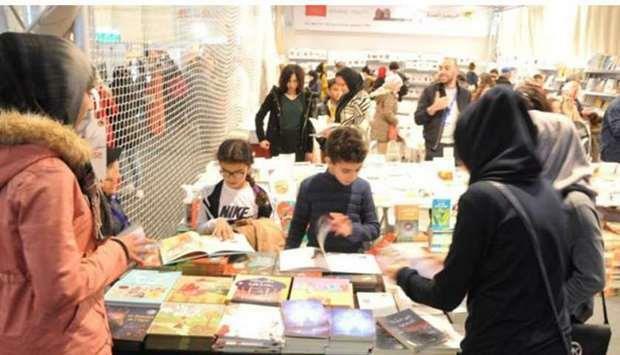 The Casablanca Book Fair began Friday, with Qatar participating. The book fair will offer 28,000 titles from 700 publishers coming from 40 countries. Morocco's Prime Minister Dr Saadeddine Othmani said that the exhibition has gained international prestige and attracts more publishing houses each year. He pointed to the diversity that characterizes the production of both national and international exhibitions, pointing out that the choice of Spain as the guest of honor this year Morocco to the most widespread cultures in the world. The pavilion of the State of Qatar in the exhibition includes the participation of the Library Administration in the Ministry of Culture and Sports, the Qatar Museums and a number of Qatari publishing houses, including Lusail Publishing and Distribution House and Dar Roza Publishing House, which will showcase the Qatari intellectual production and highlight the contributions of Qatari innovators to the fields of knowledge and culture. The Ministry of Culture and Sports had earlier confirmed its keenness on participating in the exhibition annually as it witnessed demand for Qatari publications by the Moroccan public. It also comes within the framework of the Ministry of Culture and Sports commitment to strengthening its presence in exhibitions and to promote the Doha International Book Fair.